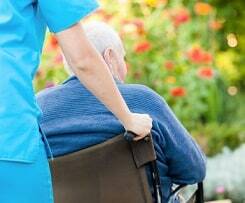 Financial abuse is a major, and growing, problem confronting the elderly. 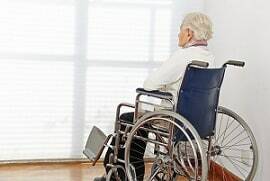 In a report by the National Center on Elder Abuse, the NCEA found that elderly victims of financial abuse suffered losses of nearly $2.9 billion in 2009, a 12 percent increase from 2008. The report also cited a study by the New York Department of Aging that found the self-reported rate of financial abuse among the elderly surpassed the rates of emotional, physical, or sexual abuse. One of the most important and overlooked aspects of financial abuse is that it can happen even to sophisticated and intelligent investors. Financial abuse occurs because those close to the victim are able to exploit the victim's vulnerabilities – including the victim's age, the need for aid in managing finances, and the possible ailments the victim faces – in order to profit off of the victim's finances. Take the example of Brooke Astor. Once one of the most famous and wealthy socialites of New York City, Mrs. Astor spent her last years battling with dementia, increasingly relying on her son to aid in the management of her finances. Not long after Mrs. Astor passed away, her only son was charged with abusing her trust in order to amend her will to add millions more to his inheritance. While the case of Brooke Astor did not involve a nursing home resident, the way the abuse occurred provides an outline for the way such situations typically develop. The victim trusted a close advisory, in this case a relative, to manage her finances. The advisory took advantage of that trust, as well as the victim's declining mental state, in order to bilk the victim out of a significant amount of money. When such situations occur, it is important for the victim, or his or her heirs, to recognize that there might be a legal cause of action to fix the problem. Maryland: $1,256,998.00 Verdict. An elderly, wheelchair bound woman suffering from hip problems requiring significant pain medications lived with her unemployed adult daughter in a house in Silver Spring. The daughter and her boyfriend gave the elderly mother an overdose of the pain medication, tricking the mother into signing away her house while the medications kept her from understanding the interaction. Her daughter later took out a loan with a bank, using the house as her collateral, and when she was unable to repay the loan, the bank attempted to claim the home. The mother sued the daughter and her boyfriend for fraud and negligent misrepresentation, among other claims. The jury returned a verdict in favor of the mother for an amount in excess of $1.2 million. Maryland: $127,067.46 Settlement. Plaintiff, an elderly businessman with significant real estate holdings, gave his son, the defendant, wide-ranging power to manage his holdings on his behalf. Unfortunately, the son manipulated this trust, selling off many of his father's properties and depositing the money from the sales into accounts that his father could not access. The case was settled, with the son repaying his father for the harm he caused in abusing his father's trust. One of the keys to repairing the damage of financial abuse is hiring an attorney to look into for potential claims against the abusers. When abuse has taken place, the victim or the victim's family should act quickly to find a lawyer who can stop the cycle of abuse and find ways to help return stolen money or property as quickly as possible.